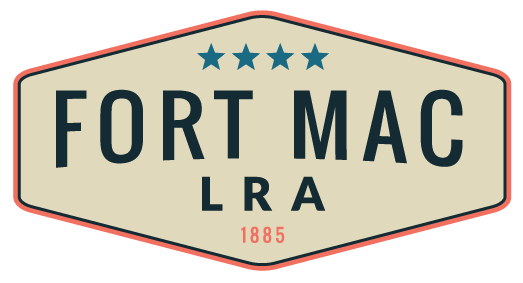 Fort Mac LRA is poised to leverage unprecedented investment in the former Fort McPherson and surrounding communities thanks to extensive analysis and planning since the base was closed in 2005. 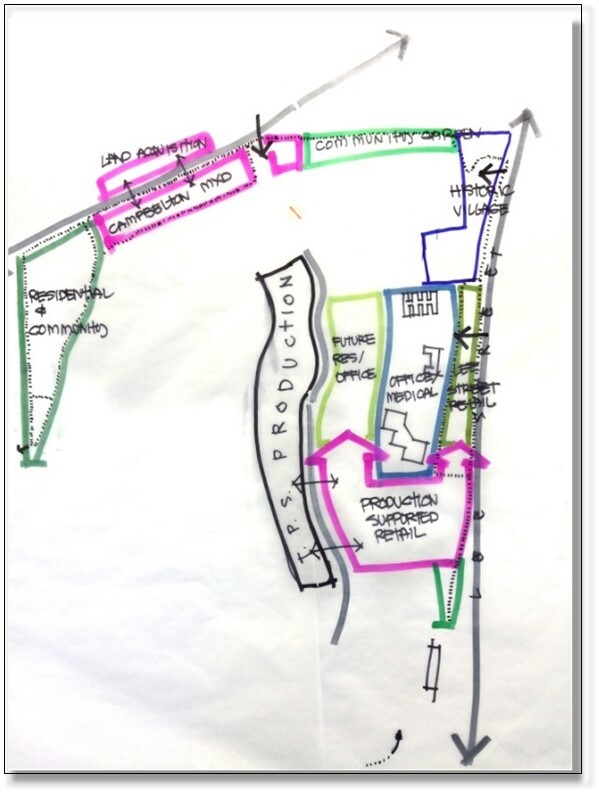 We will continue to gather community input in upcoming planning activities. 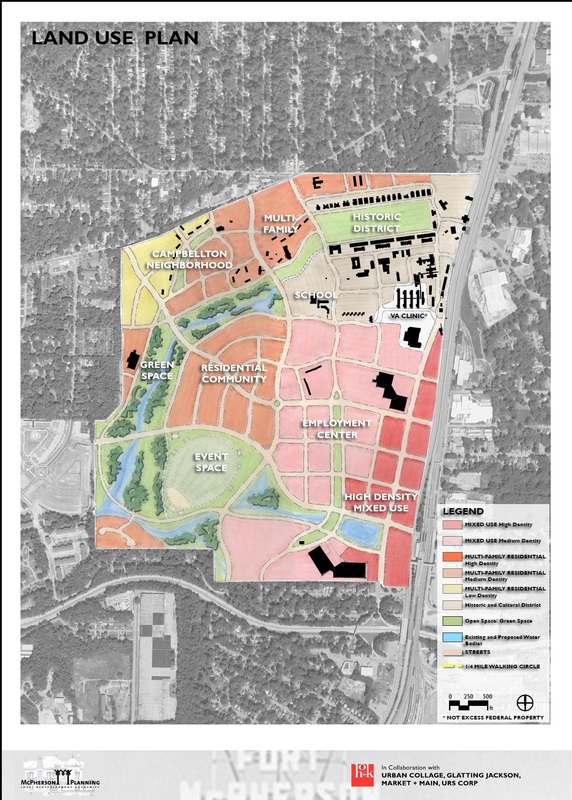 The Oakland City/Fort McPherson Livable Centers Initiative (LCI) study update and master plan is the result of extensive community outreach, market research, and other information gathering activities conducted by planners and consultants. 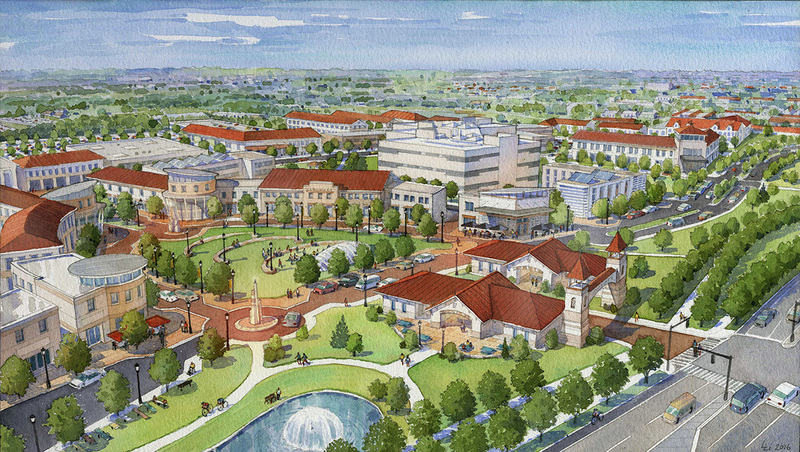 It is currently under review by city agencies, on its path to approval by the Atlanta City Council. 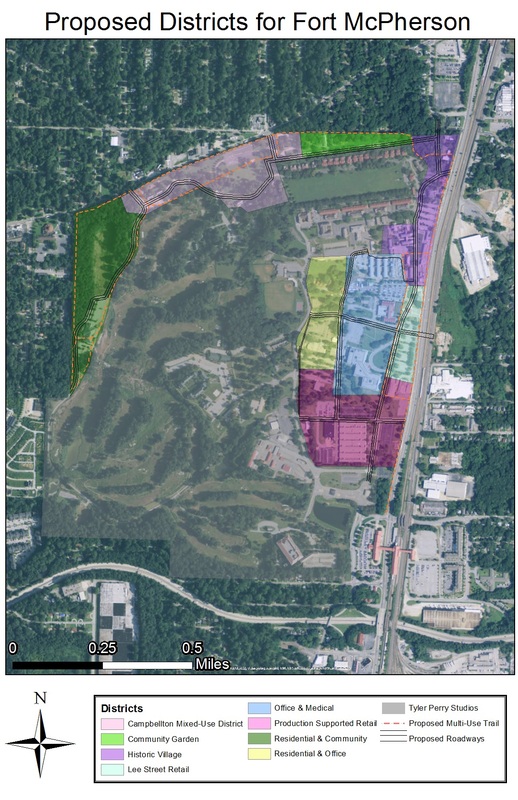 In 2010, MILRA made adjustments to the Master Plan based on market realities and with significant input from the surrounding communities. 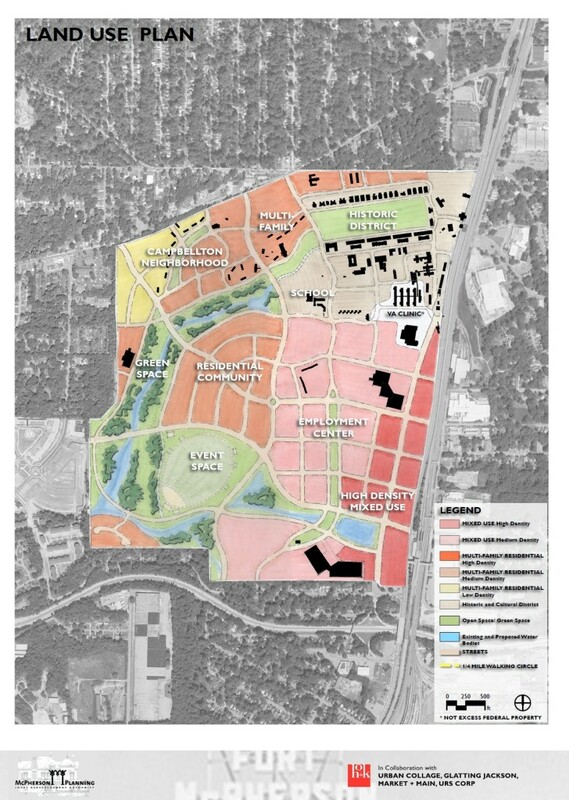 Below is one of the concept plans for Fort McPherson.